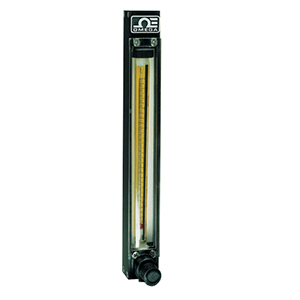 The flow tubes shown on this page can be installed into the FL3000, gas proportioning FL-1GP Series or multiple tube FL-2AA Series 150 mm rotameters. Flow capacities shown are based on calibrations with air and water at 21°C (70°F) and 14.7 psia. For other fluids or conditions, the following equations provide rough approximations. 참고: Tubes come complete with correlation table. Minimum flow is 10% of the max flow listed. For highest precision, field calibration is required.